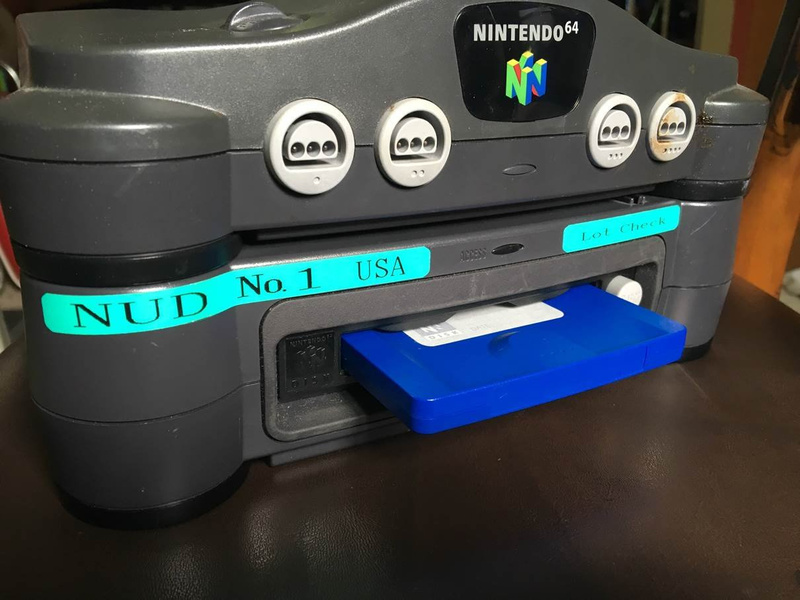 Earlier this week we reported on the discovery of a North American Nintendo 64DD unit, likely the first high-profile example to be shared online. Its stickers caused plenty of chatter as they suggested it was a Lotcheck / retail-ready unit, helping to confirm the fact that a North American release was planned for the unit prior to its poor performance in Japan. The discovery also included a blue disc that doesn't even work in the unit, likely needing a development build - that mystery is also enticing for retro enthusiasts. It was found and purchased by Jason Lindsey, who also runs the hugely popular MetalJesusRocks YouTube channel. He's an eager collector, though this is perhaps his finest addition yet; he's now posted a video about the discovery (at the bottom of this piece), and we also caught up with him to learn a little more about this system and how he came to own it. First of all, do you mind talking about how you came to own this unit? I acquired this from somebody I met off of Craigslist… however that person is shy and interested in keeping their personal information private and I want to respect that. What were your emotions when you realized what you'd found? I knew from the first moment I laid eyes on it that it was something special. It was the lettering on the front that tipped me off that is was probably a prototype of some kind. Needless to say, I was incredibly excited to learn more about it as you could imagine! There's been some conversation over what kind of unit it is: a demo unit, a testing system, maybe even a development kit. Can you shed light on this? At this point we are 99% sure it is a prototype retail version of the drive for the US market. I talked on the phone with Mark DeLoura, who ran that division for Nintendo back in 1995-2000 and he programmed for the unit, and he is pretty sure I have the real deal. Just hearing his excitement on the phone was all I needed to get my heart beating a little faster! Have you been able to learn more about its origins from other former Nintendo staff or any fellow collectors providing their expertise? 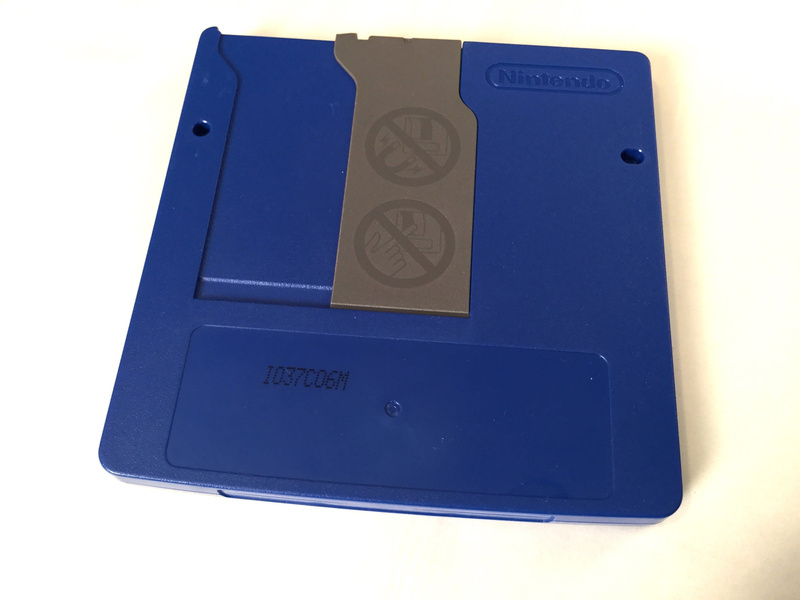 Have you been able to get the blue cartridge working? What's on there? The machine displays an error when you run the blue cartridge, but Mark said that was to be expected. I probably just need the special N64 Partner cartridge to actually get it to boot and there are several of those out there floating between collectors. It's just a matter of time I believe. What discs are you able to run through this unit? That's the thing: It's REGION LOCKED to the US as if it was sold at a GameStop! It wants a retail US 64DD game! Crazy right?! You have a hugely impressive collection already; where does this system rank in that? As far as systems go, I don't own anything really special… unless you want to count my original Windows XP machine that has never been on the internet. But I do own about 6,000 games now and I do have a lot of gems in there across all platforms…but nothing compares in my collection to this. This may end up being one of a kind… and if it's not… well, it says "No 1" on the front.. which is pretty cool by itself. 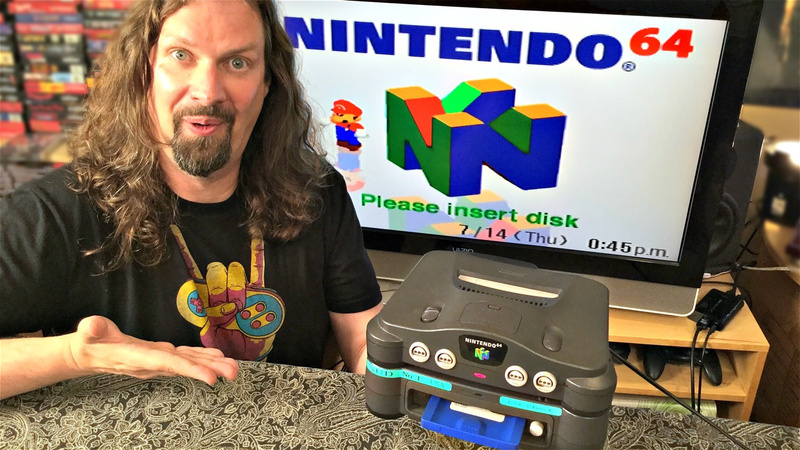 Why do you think the 64DD struggled in Japan, and do you think it could have been a success in the US if it had been released? Honestly… in 1999 you either thought the PS1 with CD based media was more than enough or you were looking forward to the PS2 and the upcoming DVD format. Heck, floppy disks were on their way out on COMPUTERS in 1999 too… so I don't think it ever really had a chance. That said, I do think the development of the unit helped Nintendo start thinking about online connectivity with their console with the RandNet service. What will you do next with the unit? Do you have more investigations or videos planned? The purpose of this video is to really tell the world this thing exists and then I want to see what the contents of the disk are. It's possible that it could be a US retail game…or it could be demo code….or it could be blank. I have no idea at this point. But that's the fun of the mystery, right? We'd like to thank Jason Lindsey - AKA Metal Jesus Rocks - for his time. Check out his video below and also be sure to take a look at the MetalJesusRocks YouTube channel. How much must this be worth? @SLIGEACH_EIRE A lot I'd assume, what a find for the guy! Is it wrong that this really excites me?? Fire Emblem 64 would be awesome, but other than any unreleased N64 game would be my next choice. I just wish Nintendo would localize some 64DD games and release them on the VC! Surely it can't be that hard for them?? Maybe the F Zero X Expansion's on the disc? Then maybe a copy of regular F Zero X could get it to work? @gcunit I'd sell my soul for an EB64 prototype with a 64DD that played it. Long time fan of metal jesus... rocks!!! What a find. I'm really curious what's on that disk and are there others out there that people ignored because they couldn't get them to play on their Japanese 64DD? I'm doubtful it's a full game, but it's possible. In the same way Starfox 2 was never released but actually semi-resurrected maybe some lost game could be restored. Or it's just a demo disk. Which would still be fun. Just don't break it folks. I've had the pleasure of meeting this guy at a few retro video game conventions and he's very nice. It's a cool find and I wish him the best in the journey of unlocking this mystery! This guys great but im a bigger fan of Game Escape. Great opinions and topics and a breath of fresh air compared to some channels out there. you should give him a shot. This is awesome, lucky guy. I think what's on that disk is likely just that Mario 64 DD that was found recently. Who knows though? I hope he finds someone with the knowhow to safely see what's on it! @THENAMESNORM I'm wondering if N64DD support is the reason why F-Zero X still hasn't appeared on Wii U VC. Love MJRs! Has so many videos. Can't wait to see what guide he comes up with this unbelievablely rare item. Long time fan of this guy and his videos. Couldn't have been discovered by a nicer guy! Also, the size of the drives would have been closer to Zip drives than floppy drives. Although, those disks ranged from 100 to 750 MB in size, whereas the 64DD disks could go as low as 64 MB, somewhat gimped by comparison. Considering it could have offered comparable or even better read times than CD's on the PS1 and Saturn, the attachment definitely would have been a boon to the N64 if it had released on time and been successful. Ultimately, Nintendo just settled on the 8 MB expansion pack to allow users to marginally upgrade the system enough to play higher end games. The 5th console gen was the last gasp of Nintendo trying to compete in the raw power race... It's interesting to think of what might have been if the Playstation SNES attachment moved forward, and if the 64DD perhaps became the Playstation N64 attachment. @Grumblevolcano If so, then why was F-Zero X released on the Wii VC, but not the Wii U VC? I doubt Nintendo would have gone to all the effort of implementing the 64DD version's editor features on any VC version. @PlywoodStick SMA4 had the e-reader levels. hey jason...is this a "hidden gem"? i need to know right away! @aaronsullivan The most annoying thing with Star Fox 2 is they have an actual physical final version cartridge at Nintendo headquarters. The ROM that you find on the internet isn't even of that version, just one of the last beta builds. The only known US N64DD and no games for it. Doesn't seem to be worth much to me but to each their own. And this is why region-locking is stupid. Gamers play games. Not one specific platform of games. Thats awesome this guy finds so many hidden gems. I love retro gaming and enjoy Metal Jesus Rocks channel! when i looked at the figure of 8756 d .Than I have no other choice but to accept , what i saw .wr. They have been doing this for a year and get ride of their debts.. Yesterday they purchased new Aston Martin . Even if that disk contains a non-playable demo of Mother 3, like what was shown at Spaceworld '99, this would still be huge. Hell, whatever in blazes is on that thing, if we can get it running it would be huge. Y'know what, forget running the disk. This is huuuuuuuuuge!! If you'd told me the name metal jesus, I think I could've imagined this photo of him. @aaronsullivan It's a veritable box of mystery. By the way, liking the profile pic. Let me guess, Nausicaa? What if this is a 3d printed fake? I love MJR's channel so much, so many great hidden gems videos and in-depth console videos. I got really excited when I found out about this thing actually existing. 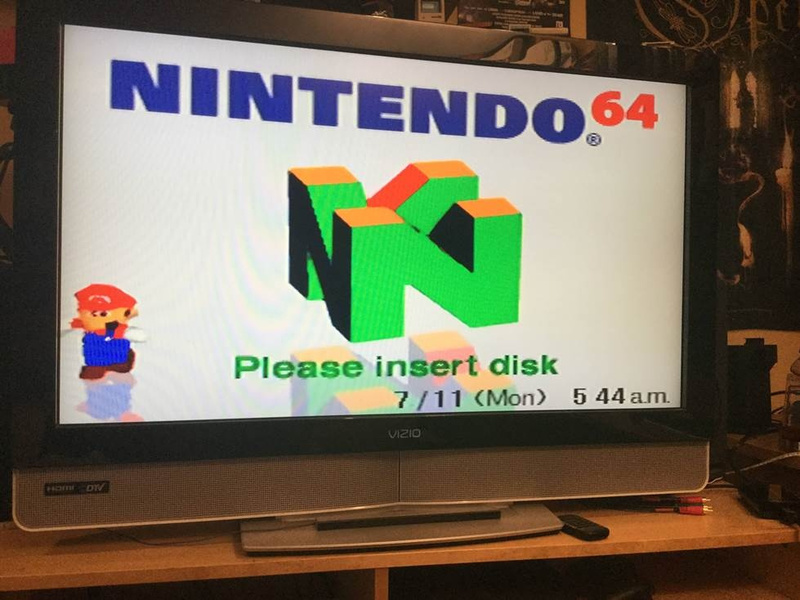 I love the N64, and I'm incredibly curious to know what is on this disk. Can only hope word gets out to the right people and someone reaches out to him about it sooner rather than later. Metal Jesus is the man. Love his videos, & he seems like such a cool, down to earth guy. Amazing find brother!! Followed this guy on Youtube for a while and I'm really pleased it's somebody like him who's ended up with something like this. Guy is truly passionate about gaming and always trying to find the best 'hidden gems' on each system, it's definitely well worth checking his channel out. Owning one of these beauties would be one of the best accomplishments of my gaming career. He is one lucky guy. "Animal Leader"....wonder if that was an early name for Animal Crossing? But what about Animal Forest? Oh nevermind, I'm looking waaaaay too much into this. @Ed_Fairway Yep. Lord Yupa. Love that movie and what Hayao Miyazaki, Isao Takahata and Toshio Suzuki did with Studio Ghibli over the years. @aaronsullivan Always good to see a fellow fan. Tell me, have you heard of Hyper Light Drifter? @Ed_Fairway Yes, wrote it off as a game a bit too violent to play around kids so no time for it. Looks pretty sweet though.